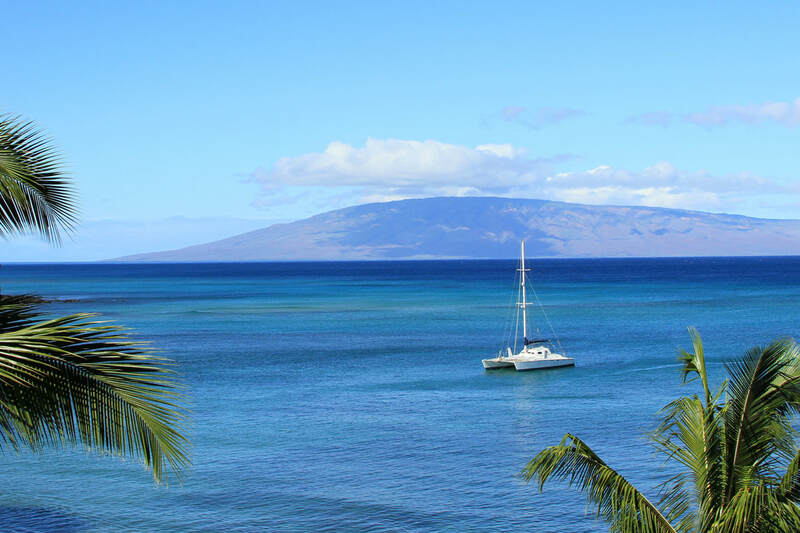 With an unbeatable location right on the water, these one bedroom condos with private lanais afford sweeping views of Maui’s neighboring islands, colorful sunsets and even whales frolicking offshore during the winter months. Nestled between Kaanapali and Kapalua resorts, these vacation rentals are only minutes away from some of the best dining, golfing, and shopping Maui has to offer. Forget all your worries by the seaside pool, feel the kiss of the tropical breeze with a stroll along the nearby beach or hop in the car & explore the old Hawaii charm of Lahaina town less than 20 minutes away. Come enjoy paradise at unbeatable prices. Newly remodeled ground floor unit. Direct ocean front, completely remodeled 1 bedroom condo, king size bed, 620 sq ft with pool side and ocean view. Breathtaking, quiet spot. Small cozy beach nearby. Whales, turtles, fabulous, romantic ocean sunsets! with beautiful ocean views. Remodeled kitchen and bathroom. Bathroom has a stall shower only, no tub. Sleep like a baby on our king size Tempurpedic bed. Watch your movies on the BluRay disc player and flat screen HDTV in the living room. An I-pod dock has been added for your listening enjoyment. Bring your laptop and surf the web via free Wi-Fi connection. An in-room safe keeps your valuables secure. Located in building 3, farthest from the pool. Full remodel completed Aug 2010 in this direct ocean front condo. Remodel included new carpet, paint, & kitchen with granite counters; new appliances, new stall shower in bathroom (no tub), and a flat screen TV in living room. Located in Kahana with a convenient poolside location in building 1. Deluxe, ocean front, and in Kahana. Being located in the center building on the corner gives this 1 bedroom a little more space. Remodeled kitchen and bathroom. Bathroom has a stall shower, no-tub. Free WI-FI in condo. Allows for a maximum of two guests. Deluxe, ocean front, and in Kahana. Located in the center building. Remodeled kitchen and bathroom. Bathroom has a stall shower, no-tub. Bring your laptop and surf the web via the free wireless internet signal. Calls to the US and Canada are free of charge. Allows for a maximum of two guests. Deluxe, ocean front, and in Kahana. Located in the center building. Remodeled kitchen and bathroom. Bathroom has a stall shower, no-tub. Bring your laptop and wireless card and surf the internet at no charge or enjoy your movies on the 37" LCD TV. Free local and long distance calls to the Mainland and Canada. 2 people maximum occupancy. ​New to program: Professional photos coming soon! Corner Ocean Front One Bedroom, One bath Maui Vacation Rental in Kahana. New Ownership as of Dec 2015. Plans for brand new stainless steel kitchen appliances, a fresh coat of paint and new furnishings. Occupancy for up to 4 with a queen bed in bedroom and queen sofa sleeper (with inflatable mattress) in living room. Nicely remodeled bathroom with walk in shower, no tub. Resort offers ocean front pool, gas BBQ's, free parking and a coin laundry facility. In August 2014 this corner, ocean front condo, went thru a complete remodel which includes: tile throughout, new window treatments, paint & texture, new lighting, kitchen & bathroom updated with new cabinets & appliances, stall shower (no tub) new sofa. Modified studio direct ocean front on the corner of building 1 allows for plenty of sunshine and views of the neighboring islands. Although this condo is rated as a studio, the queen bed is in a private room with a closet for storage outside of the room. While this unit is not ADA certified, there are grab rails in the bathroom area. Allows for a maximum of 4 guests with a queen aero bed. Entertainment system includes 40" Samsung HD LED TV with Western Digital smart TV and media player. Third floor direct ocean front views from our Kahana Reef #304 vacation condo. Remodeled kitchen and bathroom. Brand new 46 inch TV in living room with Blu Ray DVD Player and NetFlix access. Bathroom features a tiled walk-in shower (no-Tub). Comfy king size bed with 32 inch TV with built-in DVD Player. For additional sleeping options we offer a queen aero bed for a maximum occupancy of 4. We offer Free Wi-Fi internet access plus free local and long distance calls to US Mainland. Free Parking, No Resort Fees. Deluxe remodeled vacation condo with ocean front views. Facelift in Summer '12 included remodeled bathroom with tiled walk-in shower, new cabinetry and granite counters. Carpet replaced with new tile throughout condo including lanai. Bring your laptop or iPad and enjoy the free Wi-Fi service offered in the condo. Enjoy the new 42" flat screen in the living room. Located in building 1, closest to the pool. Two guests maximum occupancy. Kahana Reef 404 is all about direct ocean front views. Located between the luxury resorts areas of Kaanapali and Kapalua.This newly remodeld and redecorated condo is positioned in the premier location. Tastefully furnished, this unit makes for a wonderful short term vacation rental. The kitchen includes top of the line GE Profile appliances, granite counter tops and cherry cabinets. Bathroom includes vessel onyx sink and walk-in marble shower with multi-shower heads. It also includes Toto Washlet with heated water bidet. Crystal chandeliers in dining area and bathroom. Blue LED lights under cabinets illuminates the marble flooring in the kitchen and bathroom creating an innovative mood lighting. An in-room safe is provided. The livingroom has a Samsung 46” LED TV with BOSE music system and blu-ray. Additional TV in bedroom. Free Wi-FI. Two people maximum rental. Fully remodeled March 2012, this is one of the larger, corner units on 4th (top) floor with a lanai commanding unobstructed views of Molokai and Lana’i. 47” flat-screen HDTV with TiVo in tiled living room with queen-sized sofa sleeper. Open kitchen modernized with granite countertops and bar, well-stocked maple cabinets, and stainless steel appliances. Tiled, walk-in shower in bathroom with corner sitting area, granite countertop and maple cabinets. Spacious, carpeted bedroom with king-size bed, mirrored closet doors, Bose stereo and corner desk. Free WiFi and long distance phone calls to US mainland. Ocean front, and in Kahana. Located in the center building. Tiled entry with wood floors throughout. Bring your laptop and wireless card and surf the internet at no charge. Stay out late and let the answering machine take your calls. A large flat screen TV in bedroom. CD player in the living room keeps you entertained in the evenings. You can not beat the view from the 4th floor ocean front lanai. Remodeling completed in October 2012 with new paint, bedroom carpet, new granite counters in kitchen and bath, new lighting & window treatments and brand new furniture throughout. This condo also has flat screen TV's in both the living room and bedroom. The new owners offer free local calls and free long distance to US Mainland and Canada, plus Wi-Fi service is offered free of charge in the condo as well.